That was the question put to our inaugural Project Coordination Workshop held recently at Pukeiti Gardens in Taranaki. It’s been done plenty of times before, on more than 100 offshore islands around New Zealand and inside more than a dozen fenced sanctuaries, enabling native wildlife to flourish. But now, we want to create the same outcome on mainland New Zealand. And that means doing things very differently. Firstly, thinking differently: having a mindset that we can achieve predator eradication, then designing our approach to achieve that. Each of the projects that have received Predator Free 2050 Limited funding have an agreed eradication goal. For Taranaki, first up, it’s to remove possums from 4,500 ha of the Kaitake Ranges down to the coast, including Oākura township. 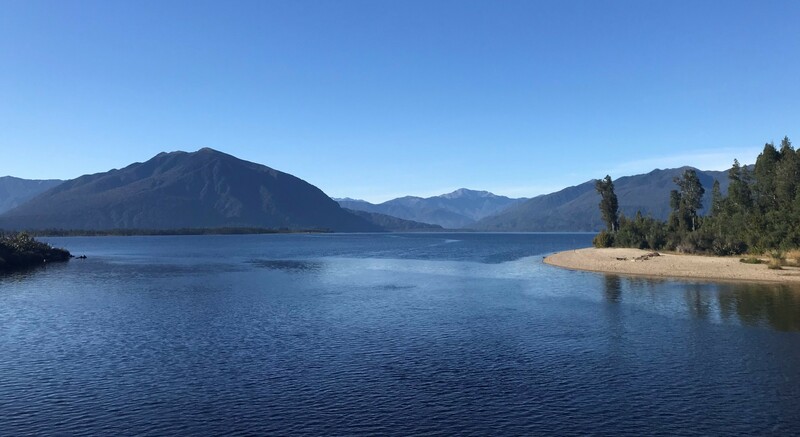 We’re funding the deployment of traps, bait stations, detection dogs and thermal imaging on farmland by an experienced contractor, timed to coincide with a scheduled application of 1080 inside Egmont National Park. 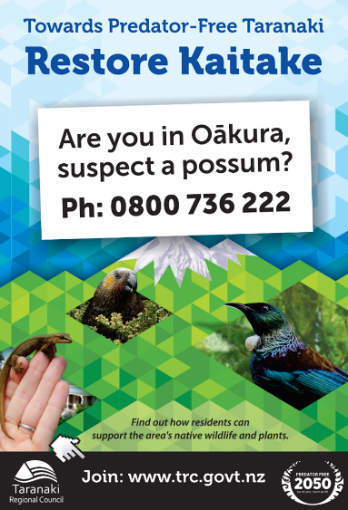 Farmers and Oākura residents have signed up to help and will be the eyes and ears of the project, ensuring any reports of possum activity are quickly responded to. A community flier from Taranaki. Combining effort with the objective of removing every possum will make ongoing suppression and toxin use a thing of the past. 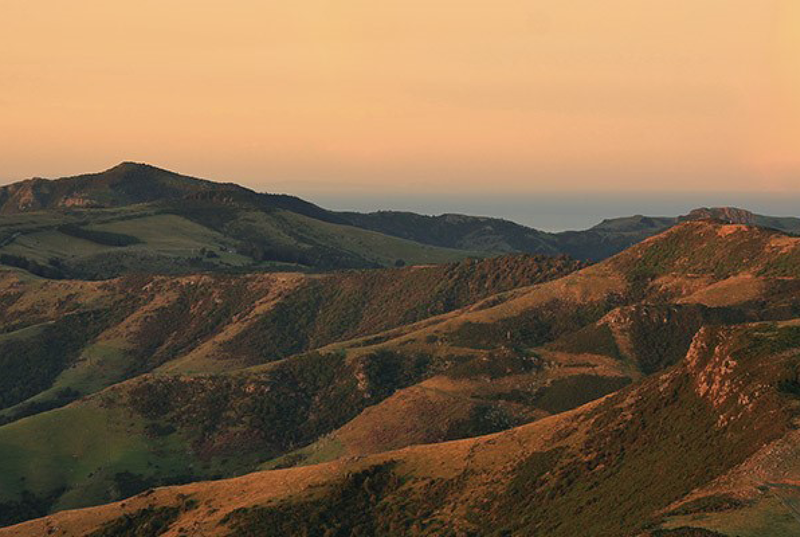 On 14,500 ha Mahia Peninsula in Hawke’s Bay a rolling front of bait stations, leg hold traps, cage traps and trail cameras will be used to remove possums from successive 1500 ha blocks over four years, a plan developed with iwi and land owners. Leg-hold traps have been redesigned to make them more humane and effective: set in a moulded plastic platform, with a lock out mechanism, ramp, bungy cord on a lengthened chain, weather-proof aluminium attractant, and wireless LoRa node which transmits to a satellite box to alert field staff to a catch. 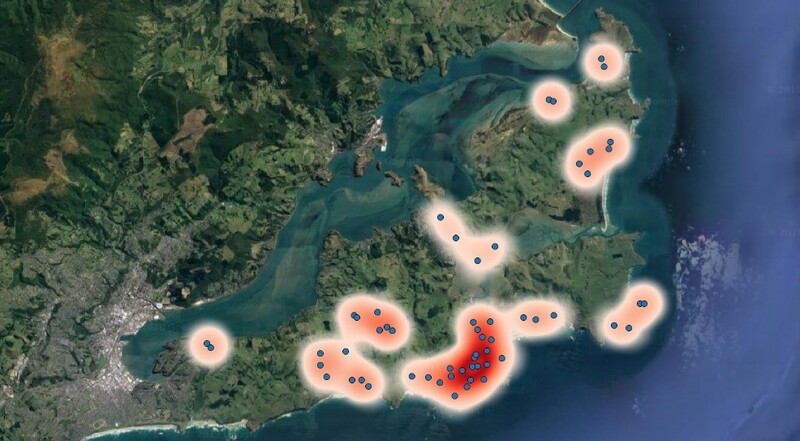 9,000 ha Otago Peninsula’s community-driven plan has been informed by genetic and population movement studies to ensure every possum comes into contact with a control device and the rate of removal exceeds that of breeding – the simple but essential formula for eradication success. Barriers are being rethought, from expensive, high and solid fences to lower, light weight ones, able to be formed off the back of a tractor, and/or virtual boundaries made up of lines of trapping and surveillance devices. It doesn’t matter if barriers leak, as long as intruders are detected and removed before they have a chance to find a mate or establish a breeding population. For possums and stoats this might be as long as a year. No need to panic. Thermal cameras hold huge promise, with significant advances in data processing speed, AI, battery and communications capacity expected over the next year or two. Once an invader is detected, locked-out traps can be activated by wireless communication. Or a small amount of toxin released alongside a well-proven bait formula from an auto lure disperser, one that doesn’t need refilling for a year. 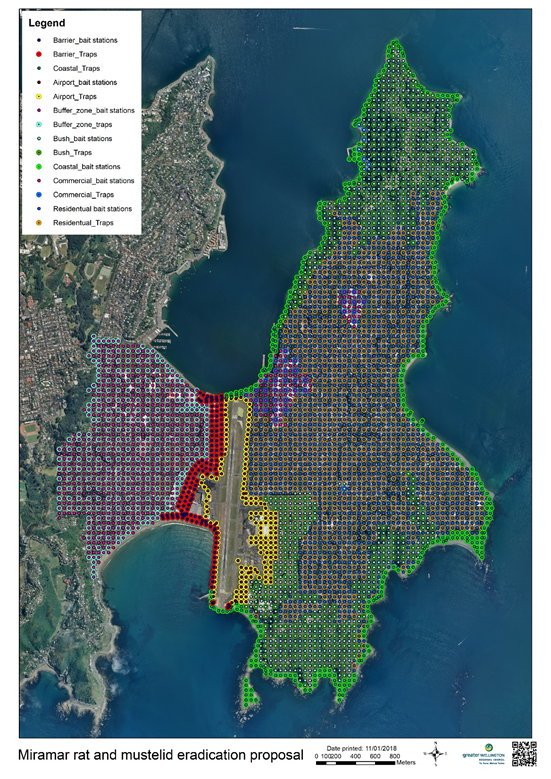 All projects are reliant on public support and on Wellington’s 800 ha Miramar Peninsula – where rats and stoats are now being targeted after the successful removal of possums – the Predator Free Wellington team has gathered and processed 3,000 individual permissions to operate on public and private land. This enables devices to be spaced every 50 metres, around shops, homes and parks, meeting the requirements of an exacting eradication plan. 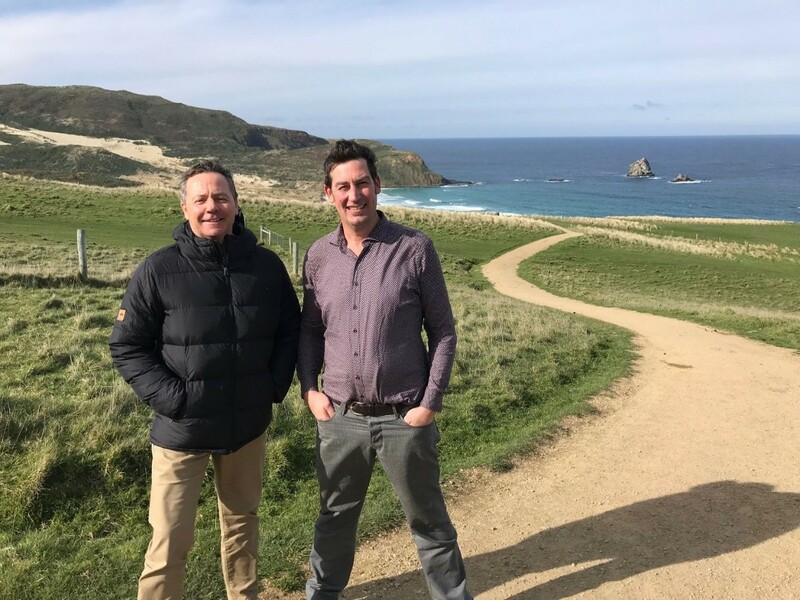 On 9,300ha Waiheke the same careful, thorough, community-driven approach will be used to remove stoats and rats across island landscapes, then protect its shores from reinvasion. Special mapping and planning Apps and data recording platforms are being developed, adapted and fine-tuned. 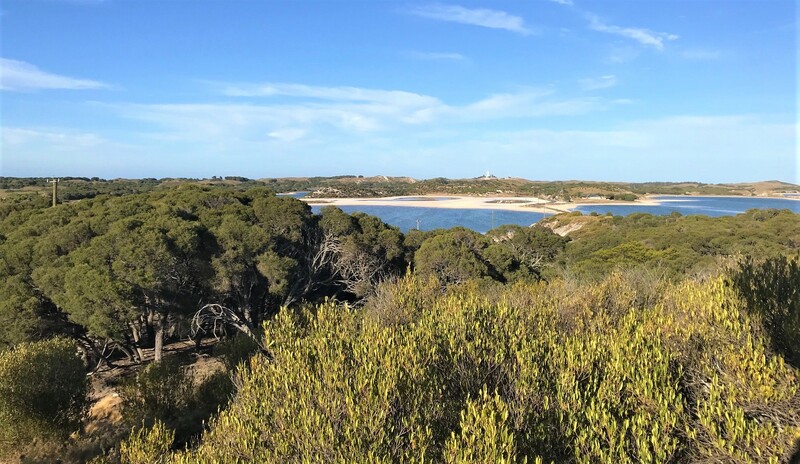 In Westland’s 7,500 ha Perth Valley we’re funding research to see how natural alpine and river barriers can be used to keep possums, stoats and rats at zero after aerial 1080 operations. And how bait repellents and strategically placed thar carcasses can be used to prevent interest from kea. Proven, the method could be repeated valley by valley, meaning freedom from predators and toxin use on the West Coast. Our first coordination workshop brought operational staff from around the country face to face with the designers, modellers and researchers whose tools and approaches are making eradication feasible. Next year, more projects, experience and ideas will be added to the mix so we move increasingly from predator suppression to predator freedom. For our wildlife the difference will be massive.